Over the past few years, we’ve seen a tremendous rise in at-home virtual reality devices. There are numerous devices available that allow you to immerse yourself in a revolutionary experience. In fact, Samsung has even made it possible to turn your phone into a virtual reality headset with their Gear VR device. This technology must have just come about, right? Not quite! Believe it or not, virtual reality is technology that’s existed for decades, and potentially even centuries, in the making. If you’ve ever found yourself curious about the origins of your virtual reality headset, you’re in luck. 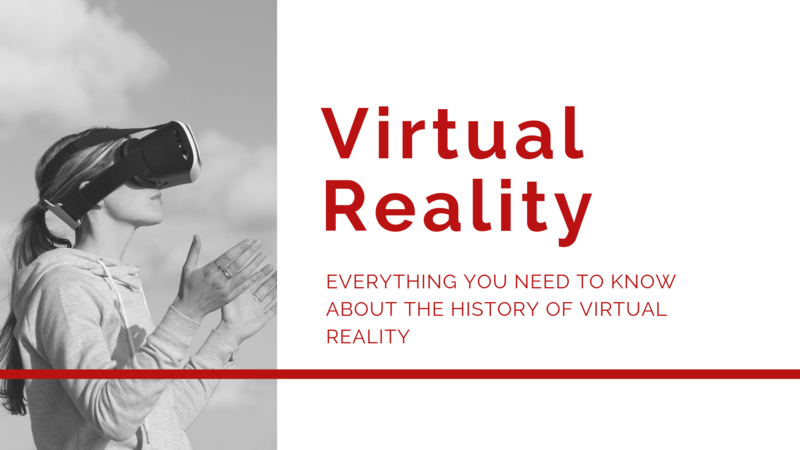 Below, you’ll discover a brief history of virtual reality, explaining how a vision grew into a reality and a commercial success. If we’re examining the history of virtual reality chronologically, it’s essential that we start in the 1800s. At this point, virtual reality was not even a thought in the minds of inventors. However, according to the Franklin Institute, Sir Charles Wheatstone designed the first stereoscope in 1838. Wheatstone utilized twin mirrors to project a single image into a lens. Other inventors improved the stereoscope’s design over the next decade, making it slimmer and easier to use. However, the most significant improvement came in 1939 with the View-Master. This device allowed users to rotate a cardboard disc through the lens. Each disc contained numerous pictures, thus giving users the opportunity to change the images in their viewing portal. Of course, that’s not to say that our vision for virtual reality has not always been there. For example, a 1930s science fiction story by Stanley G. Weinbaum described a world where people wore goggles that allowed them to view a fictional world, relying on holographic images, taste, smell, and touch. One could make the argument that Weinbaum was a true visionary in the world of virtual reality. A few decades after the View-Master, computers entered the world. At the time, they were behemoths, placed in rooms with the air conditioning set on high. They were beneficial for those working with complex programming languages. To most others, they served no more purpose than the basic calculator. However, according to the National Center for Supercomputing Applications at the University of Illinois, a young engineer named Douglas Engelbart was looking for ways to get more out of the computer. Engelbart had a background with computers, having worked as a former naval radar technician. He wanted to turn computers into devices that were beneficial because of their digital displays. Although many people scoffed at Engelbart’s initial ideas, they eventually gained popularity a few years later, in the early 1960s. As graphics technology began to interest in communications technology, Engelbart’s vision became a reality. The result was a computer that was significantly more user-friendly. From there, the use of computers and, specifically, computer imaging, grew more prominent. Around this same time, unknowingly, another significant event underway that would also help influence the development of virtual technology. In 1956, Morton Heilig was working as a technologist, relying on his experience in the Hollywood motion picture industry. His goal was to create an experience that allowed moviegoers to feel as if they were “in” the movie. The result was the Sensorama experience. As the Virtual Reality Society describes, Heilig obtained this by putting users into an arcade-style theatre cabinet. Not only could users experience stereo speakers, but they also experienced a 3D display that relied upon stereoscopic technology, in addition to smell generators, fans, and a vibrating chair. After developing the Sensorama, Heilig did not stop working to create virtual experiences. A couple of years after releasing the Sensorama experience, Heilig designed the Telesphere Mask. This was the first known head-mounted display device. Although the invention had a non-interactive film medium and did not allow motion tracking, as virtual reality headsets do today, it did produce 3D stereoscopic images and surround sound. Soon after Heilig designed his Telesphere Mask, Philco Corporation designed a product that utilized head motions. The product, known as Headsight, featured a magnetic motion tracking system, in addition to a video screen for each eye. The company did not design the product with recreational purposes in mind. Instead, it was a valuable tool for the military when in dangerous situations. Around 1970, a computer artist named Myron Kruegere designed artificial reality experiences. These experiences relied on computer-generated graphics that responded to the people in it. Ultimately this led Kruegere to develop VIDEOPLACE technology, which allowed people to communicate with each other in a game despite the fact they were miles apart from each other. 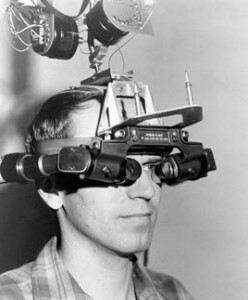 By all accounts, it seems as though Ivan Sutherland introduced the concept for virtual reality in 1965. He outlined his vision for the “Ultimate Display” that allowed users to alter their reality to the point that they could not tell the difference between actual reality and “virtual” reality. He described this display as something in which a computer controlled the existence of matter. Sutherland’s vision ultimately became the blueprint for virtual reality. Virtual reality, as we know it today, was born in 1987. Virtual technology took the technologies above and combined them into an all-encompassing term thanks to Jaron Lanier. Lanier had previously founded a visual programming lab and came up with the term virtual reality to help represent his new field of research. As you can imagine, the price for virtual reality gear was initially quite expensive. Lanier offered virtual reality goggles, called the EyePhone, for $9,400. He also provided gloves to accompany the EyePhone, available for an additional $9,000. These are the first devices sold under the virtual reality moniker. They were fundamental in paving the way for the virtual reality devices we see today. By 1991, virtual reality was growing in availability to the public. Although the devices were not affordable enough for the average consumer to own in their household, people did have access to virtual reality devices in arcades. Thanks to The Virtuality Group, arcade games and machines were equipped with virtual reality. Users would wear goggles and play games with real-time visuals. In the early 90’s, the Sega Genesis was an extraordinarily revolutionary device, allowing people to play video games in their homes. In 1993, Sega announced that virtual reality was coming to Genesis devices. At that year’s Consumer Electronics Show, Sega displayed glasses that featured head-tracking and LCD screens. Sega was going to offer the VR goggles for $200. Unfortunately, the goggles never became a reality. There were technical difficulties during the development stage, and Sega could never release the glasses to the general public. The company had invested significantly in the product, having developed four games that were to be used exclusively with the headsets. 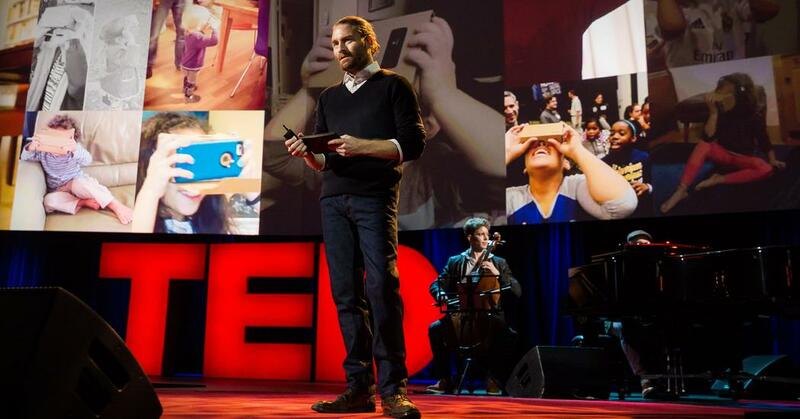 Although a flop, it showed that virtual reality was close to becoming more mainstream. Although Sega demonstrated that virtual reality technology was available, no company developed products any further until the 21st century. The first fifteen years of the 21st century, however, saw tremendous developments in virtual reality technology. It’s easy to conclude that this is because of the development of the cell phone. With the cell phone, it’s apparent that companies have been able to develop powerful technology into small, portable devices. 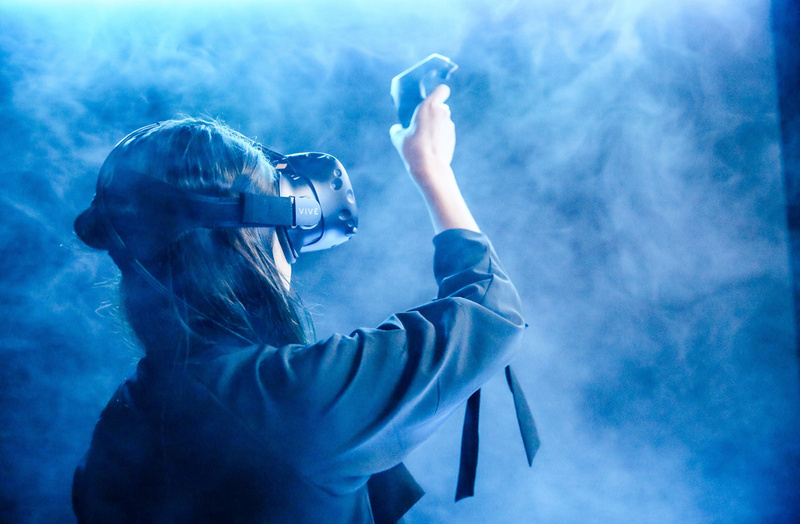 That technology transferred over to virtual reality headsets, which now carry features such as Bluetooth and WiFi connectivity, in addition to stunning HD graphics. 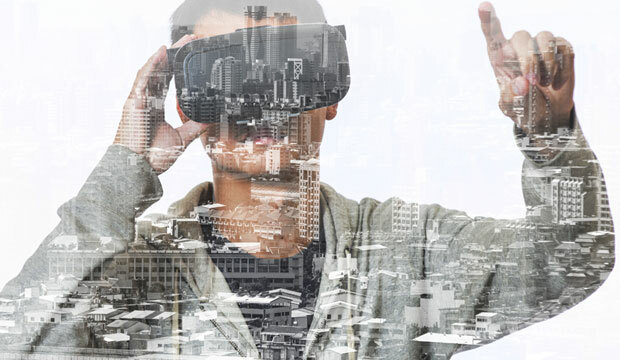 As smartphones began to have high-density displays and 3D graphics, so too did today’s virtual reality devices. Another significant point is the fact that this technology has become much more affordable in years past. Whereas the first virtual reality headsets cost thousands of dollars, you could today make a basic VR headset today with cardboard and your cell phone. Virtual reality sets are more affordable now than ever, and technology is something with which many are accustomed, making the devices more popular. A key indicator of where virtual reality is heading is the fact that social media giant Facebook purchased Oculus Rift for $2 billion in 2014. Oculus Rift was one of the companies at the forefront of designing modern virtual reality technology. The fact that Facebook invested so heavily in them is a strong indicator that virtual reality will continue to grow and become a way of life.